From music to culture, Africa has always been a source of inspiration for the rest of the world. This is especially true when it comes to fashion. With the global industry appealing to local markets, home-grown creatives have the responsibility to set the trends. African Fashion International (AFI) Cape Town Fashion Week is the ideal platform to promote a narrative that speaks to the distinct sense of style of African designers and consumers. Our editor Aubrena Armstrong looks at five reasons why AFI Cape Town Fashion Week should not be missed. AFI was established more than 10 years ago to represent African talent at a world-class level. They have since partnered with big brands such as Audi and Mercedes Benz to showcase local and African fashion, before launching the AFI Fashion Weeks in both Johannesburg and Cape Town. “AFI is set up to showcase and propel African designers in order to promote their businesses. Africa can definitely compete with the global brands given the support and an enabling ecosystem, that is what AFI seeks to facilitate,” says AFI Founder and CEO, Dr Precious Moloi-Motsepe. With the catwalk as a key focal point, designers from Ghana, Nigeria, Tanzania, Cameroon and Morocco, with strong African aesthetic in their creations, pair up with local favourites such as Maxhosa by Laduma, Imprint, and Marianne Fassler. A series of?runway shows is set to feature collections from Neville Masondo’s bridal couture, Maxhosa by Laduma’s Xhosa prints and knitwear, Ruff Tung’s fashion for all women and AFI’s own Privé collection. Cape Town locals Stefania Morland and Shana Morland also showcase their collections of luxurious fabrics, nudes and earth tones with timeless and elegant silhouettes. The AFI Masterclass hosts experienced speakers from around the continent and local creatives who share the stage engaging in topics that are the driver for the success of the fashion business. The line up includes fashion designer Sibusiso Mahone, attorney Lita Miti-Qamata, Conde Nast Britain managing director Albert Read and diversity advocate Thando Hopa. Cape Town hosts Xperience AFI for the first time since it was launched in 2017. A showcase of urban culture, fashion, art, music and photography, the event gives young creatives a stage promote their designs, art and music. Designers to be seen at the event are Crystal Birch, Artclub & Friends, Mahone and Not Good Enough. AFI was recently announced as a major sponsor of the Condé Nast International Luxury Conference, a premier business industry event. 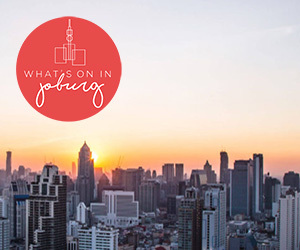 This is the first conference of its type to take place in South Africa, and attracts business leaders and influencers within the luxury industry from over 30 countries. The conference features speakers from leading international brands such as Estée Lauder, Tiffany&Co. and Gucci with Jo-Ann Strauss as Master of Ceremonies. “This collaboration is a wonderful chance for AFI to further advance African designers, and boost the local industry, to the most respected and relevant global platforms,” says Dr Precious Moloi-Motsepe. AFI Cape Town Fashion Week runs from 9 April to 13 April 2019. Win tickets to the runway?shows on our Instagram.